Easter is an awesome time in the year and comes around so quick! There’s so much to do between seeing family and friends and getting everything organised. But let’s get down to business, the best part about Easter is devouring chocolate and sugar filled snacks without any guilty thoughts weighing over us. Because it’s Easter…and calories don’t count on Easter right? Good! It’s the long weekend so it’s a perfect time to get into the kitchen and we’ve got some cracking Easter sweet snack recipes for you that the family will love and will only take you five minutes. This recipe is an adaptation on the classic chocolate “spider” recipe and make for great treats for Easter. 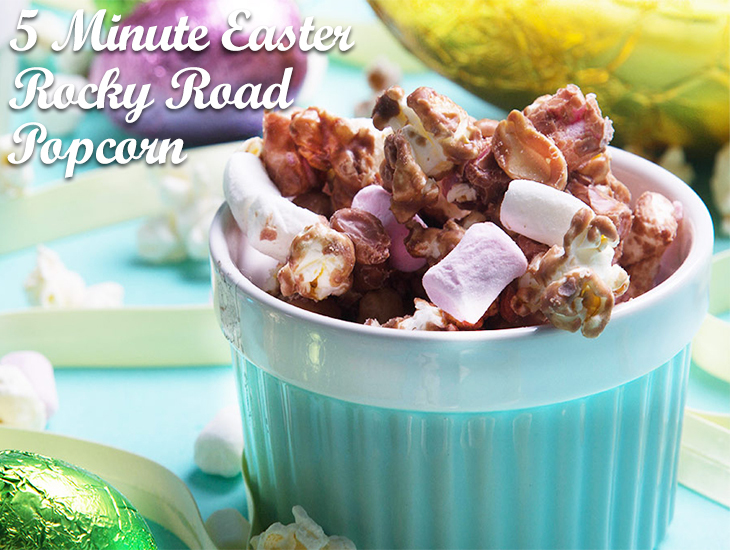 This rocky road popcorn is incredibly delicious and so easy to make, the whole snack can be constructed in under five minutes. 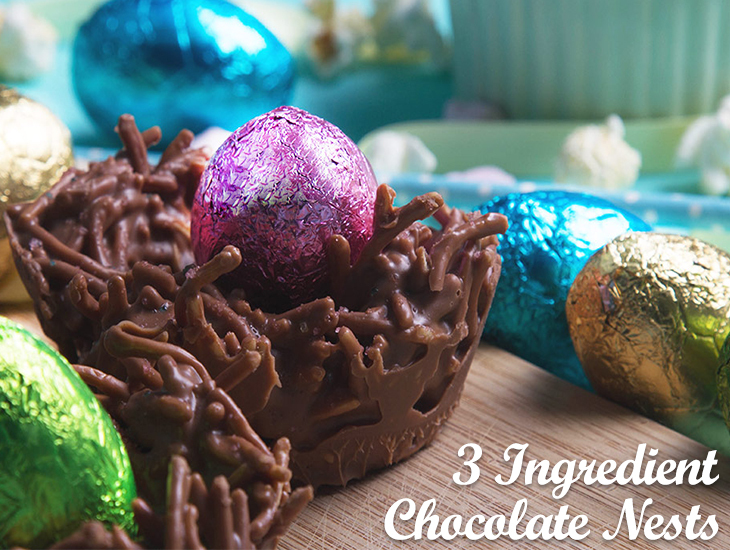 Plus it’s a great way to use up chocolate from Easter eggs that are broken and give as a present, wrapped up in little bags! To make; simply melt the chocolate in the microwave and leave for a few minute to cool slightly. In a bowl combine the popcorn, mini marshmallows and peanuts and mix through. Pour the chocolate mixture over the popcorn mix and softly fold through. Once the choclate has set, spoon the mixture into cups, or if you are giving away, into some small plastic wrap bags. If you want some extra colour you can always add some sprinkles or a crushed up Easter egg. Yum! Inspired to get into the Kitchen? Check out the bright and colourful range of products on Catch of The Day to add some Autumn brightness to your kitchen! Want to try these recipes out? Let us know how they go? Maybe you’ve got an amazing improvement to make these recipes extra awesome for the long weekend! Previous Previous post: How to Plan an April Fools’ Day Prank Like Google!